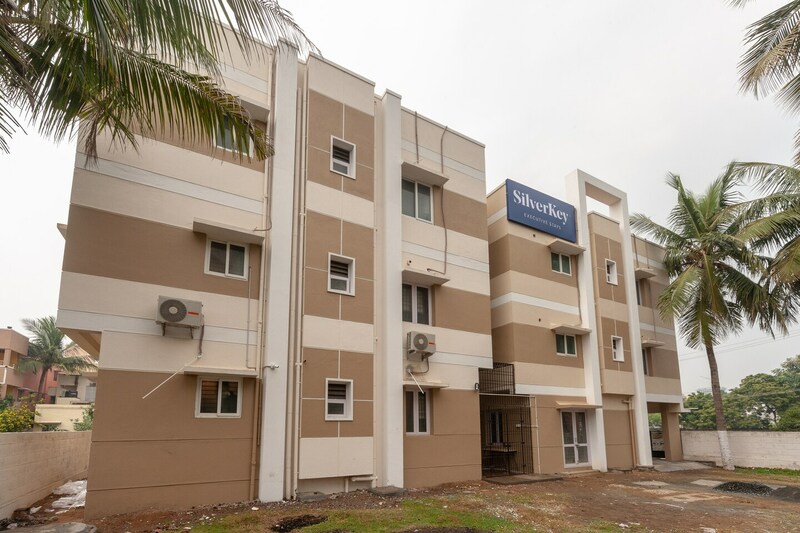 Silverkey Kamatchi Hospital has functionality, simplicity and style to offer guests an enjoyable time with top amenities at pocket-friendly prices. The rooms are decorated in neutral shades with bright curtains adding to the look. A mini-fridge is provided with the room, where guests can store their required food items and beverages close at hand. Hair dryer is also provided with the room. The property offers free WiFi, power backup, a common seating area, and dining area. There is parking facility available as well for those travelling with their personal vehicle. Silverkey Kamatchi Hospital accepts card payment and also has in place a CCTV camera setup for added security.